Brian has a commitment to post-graduate education in order to offer the highest standard of care to his patients. 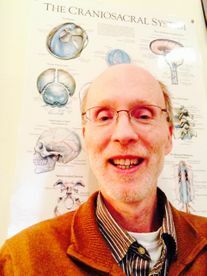 He has taken many post-graduate courses since graduating from Dalhousie University in 1986, and has assisted in several craniosacral therapy courses. The knowledge he has acquired has enriched the understanding he gained from the treatment received while on his own personal path to wellness. Put Brian’s extensive knowledge and experience to work for you, with a variety of treatment options tailored to your needs.